This absorbing and previously unpublished memoir, chronicles the remarkable life of Charles Novacek (Vlasta Jakubová´s brother)― one that took him from his youth spent in the Czech resistance against the Nazis and the Communists to the displaced persons camps of Germany to the military dictatorship of Venezuela before granting him access to the American dream. 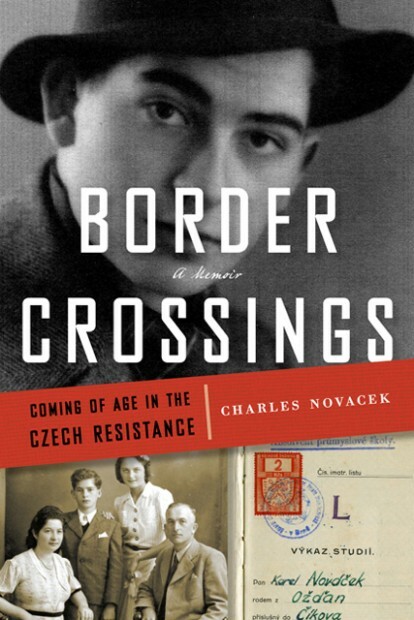 Charles (Karel) Novacek was born in Ožd’any, Czechoslovakia on May 11, 1928 to a Hungarian homemaker mother and Moravian policeman father. In 1938, his idyllic childhood was shattered with the Munich Agreement, displacement of the Novacek family to Moravia and tjakuhe ensuing Nazi occupation of Bohemia and Moravia. The family became actively involved in the Czech resistance. At the age of eleven Charles and his sister Vlasta were trained for wartime resistance by their father Antonín and Uncle Josef Robotka: how to resist pain, hunger and fear―and to trust no one. Novacek continued his work in the resistance after World War II ended as the Soviets occupied his homeland. He endured arrest, capture, and torture ultimately escaping across the German border. Novacek’s memoir brings the experiences and thoughts of the young resistance fighter sharply to life while also bearing the sage perspective of a man in his eighth decade of life. The book is supplemented with a map, 30 b&w photos, a timeline, and biographies from the project Political Prisoners.eu, et al. Charles Novacek graduated from the Industrial College of Engineering in Brno, Czechoslovakia with a degree in mechanical engineering and attended the Masaryk University School of Law in Brno. After escaping his homeland in 1948, Novacek fled to Germany, then Venezuela and was finally able to immigrate with his family to the United States in 1956 where he taught himself English as his seventh language. Novacek was a registered professional engineer and spent thirty-three years in the Detroit, Michigan, metropolitan area as a civil engineer, project, design and quality assurance manager. He received an ACI Construction Practice Award from the American Concrete Institute and a Distinguished Service Award from the Michigan Society of Professional Engineers. In addition to being an accomplished engineer, Novacek was a talented artist who carved stone and painted many fine and vibrant works, and a world traveler who was ever interested in the beauty and intricacy of other cultures. He was a lifelong learner who continually sought knowledge, earning two masters degrees and studying Chinese in his retirement years. Novacek died in Detroit, Michigan in 2007.